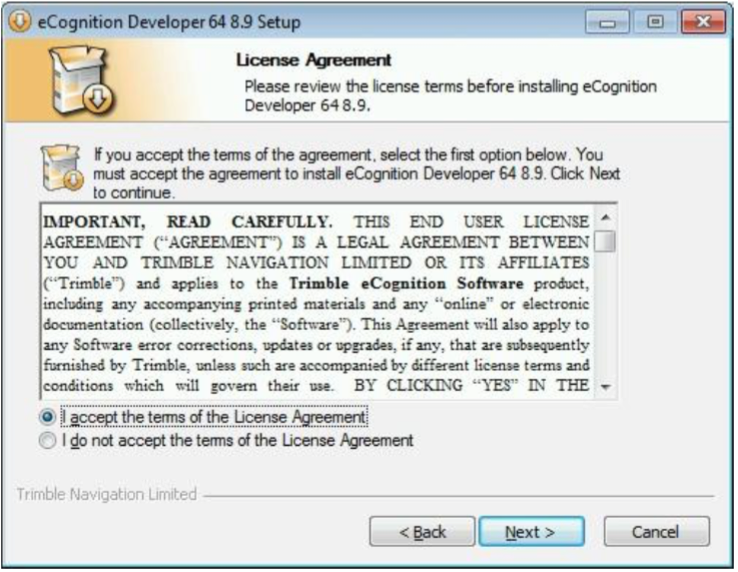 Click Next through the intro and accept the License Agreement. 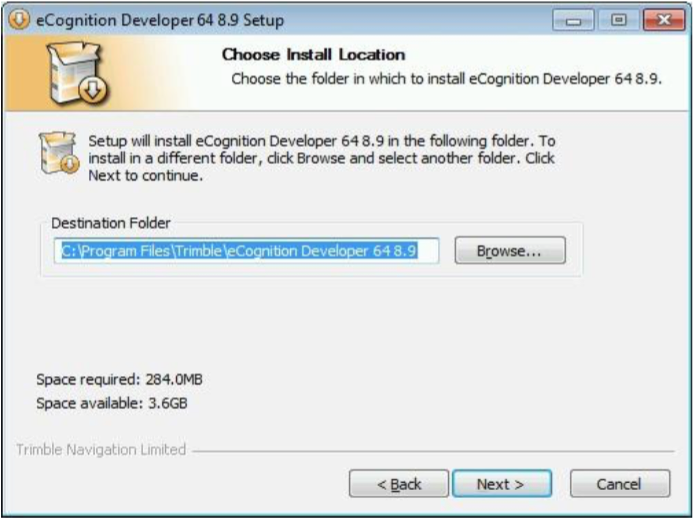 When prompted for licensing information, choose either Set licensing later. 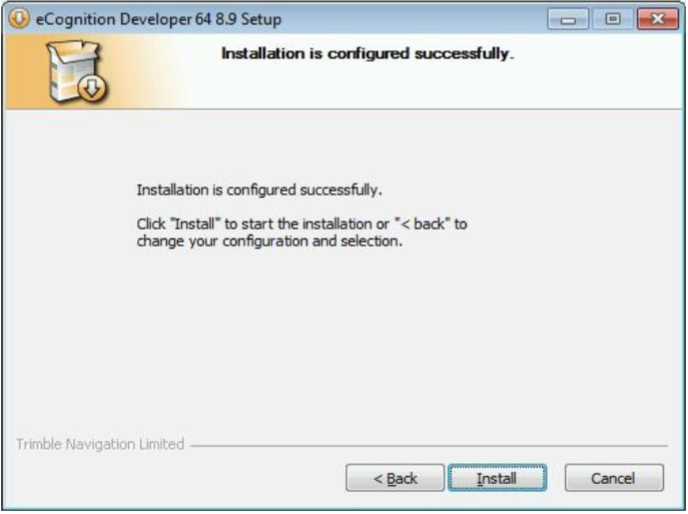 Note: Setting network licensing during he install does no harm but does not work because the installer saves the local license file in an incorrect format. 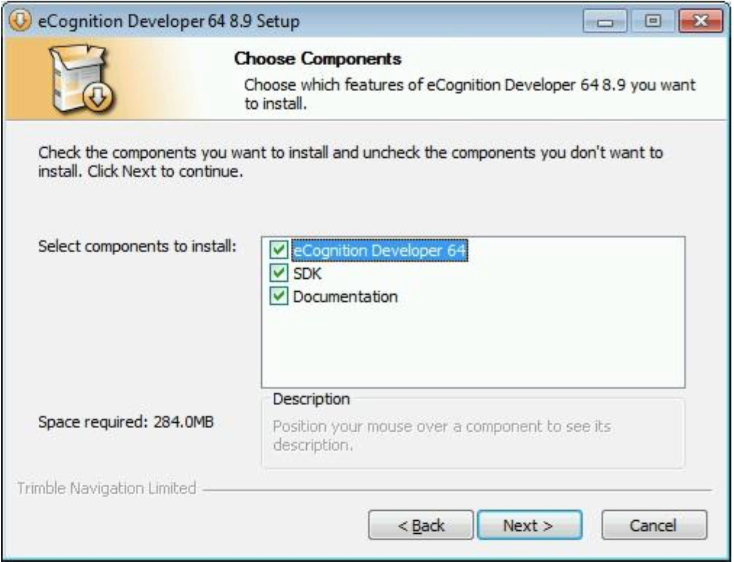 Choose the components to install and the Start Menu location. 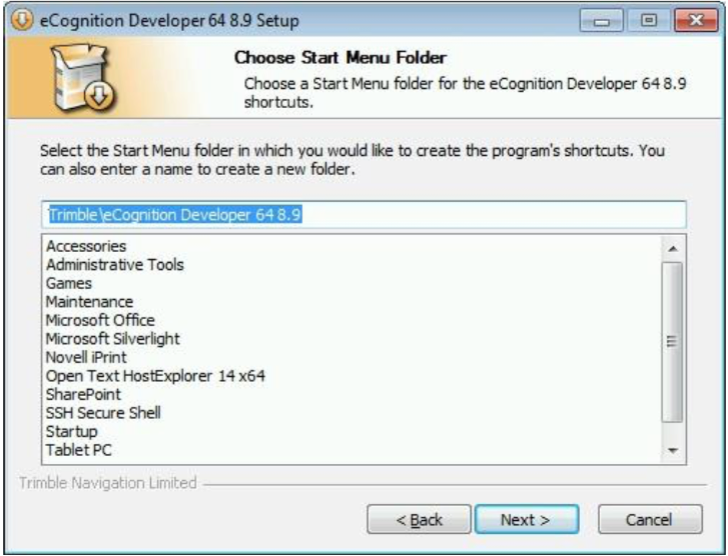 Choose the destination folder and click Install. 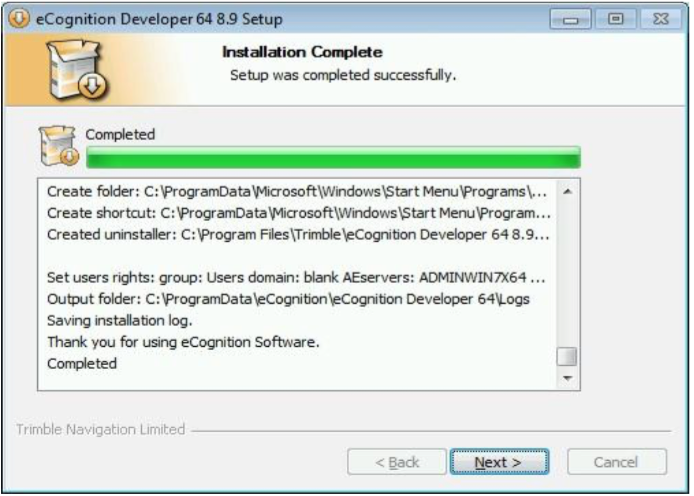 After the installation finishes, click Next and then Finish. 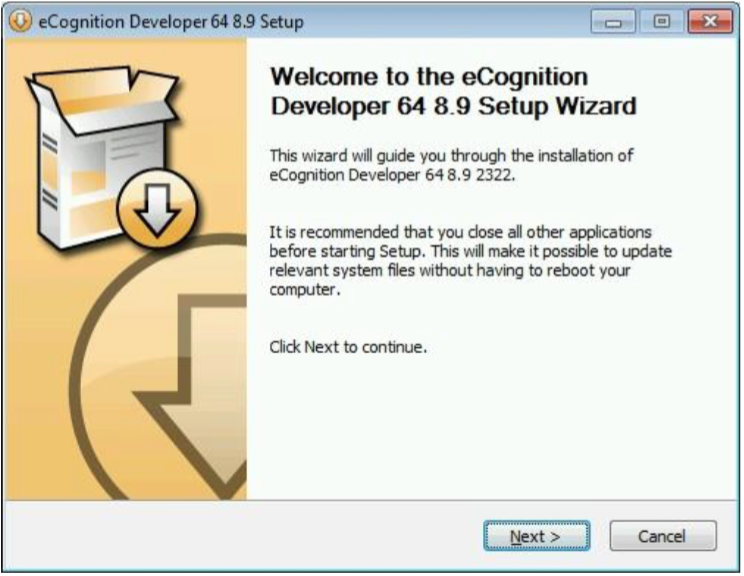 When you open eCognition Developer, you’ll be prompted for network license information. 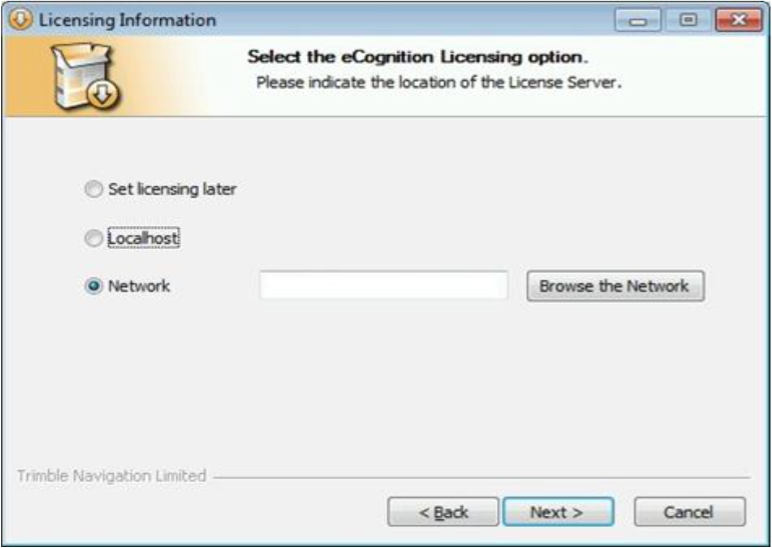 Use 28001@license7.clemson.edu for the license server in the Network field and click Next. 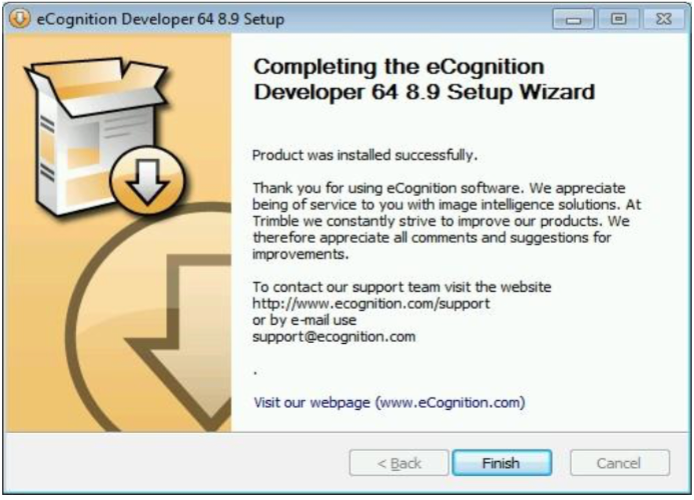 Posted - Thu, May 26, 2016 at 2:47 PM.